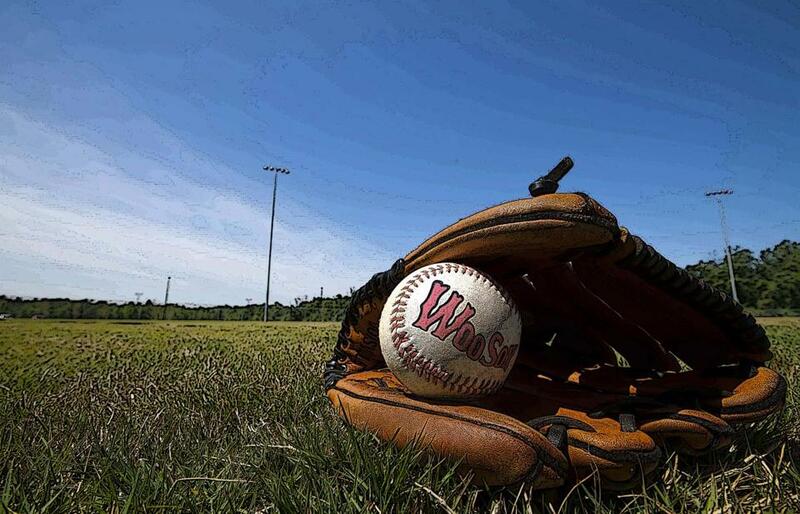 BASEBALL IS A GAME of simple pleasures, childlike and nostalgic, a diamond, an unfolding of seasons, a journey home. But as Pawtucket Red Sox fans in Rhode Island have discovered this past week, it is also a game that can break your heart off the field. For nearly half a century, prospects from the top Boston Red Sox farm team have patrolled McCoy Stadium in Pawtucket, a Depression-era diamond set in an industrial park surrounded by tenements. In 1981, the PawSox beat the Rochester Red Wings in 33 innings, the longest game in professional baseball history, solidifying their place in Rhode Island alongside the burning of the Gaspee in 1772. Now, the PawSox are moving to Worcester. (The WooSox? Really?) Regardless of who’s responsible — and like the night the ball rolled through Bill Buckner’s legs, the blame goes all around — there is no debating the departure of the PawSox will leave a void greater than the sinkhole upon which McCoy Stadium was constructed during the Great Depression. McCoy is not Fenway Park, no John Updike “lyric little bandbox.” But it exudes a gritty, blue-collar charm in a city that gave birth to the American Industrial Revolution. There’s free parking, you don’t have to fight the Boston traffic, and for a fraction of the cost of an excursion to Fenway, families have come to watch generations of future Red Sox stars, from Carlton Fisk to Nomar Garciaparra to Mookie Betts. Children fish for autographs by dangling baseballs in cut-out milk jugs in front of the dugout. After the game, there are fireworks and a chance to run the bases and Scout campouts on the inviting outfield grass. The crowds are giddy and joyful; imagine the thunder of 2,000 kids on Bat Night. The Pawtucket Red Sox have concluded a lengthy search for a new home by choosing Worcester for a modern ballpark, leaving its long-time home of Pawtucket, R.I.
I’ve been going to PawSox games for more than 30 of the nearly 50 years they’ve been here. They are as Rhode Island as clam cakes and chowder and Del’s lemonade. I covered the team for The Providence Journal in the 1980s. Later, my wife and I took our kids, who, in a video-game world, learned to appreciate baseball’s slower rhythms. Both of my children got to go on the field and perform the national anthem with school groups. One summer, they were thrilled to discover that the high-school girl who babysat them had a secret identity — she was Paws, the team’s lovable polar bear mascot. Ben Mondor, the benevolent owner who rescued the team from the trash heap in 1977, when it couldn’t afford to buy baseballs and had to scrounge for Red Sox caps at Sears for the players on Opening Day, lived in my neighborhood and handed out free tickets to children on his early morning strolls. Sadly, Ben died in 2010. In 2015, his widow sold the team to a group with several Rhode Island investors, including retired CVS chairman Tom Ryan and former Fleet Bank CEO Terry Murray. They vowed to preserve the team’s bond with Rhode Island. Instead, they will be remembered as carpetbaggers who chased a buck up Route 146. PawSox chairman Larry Lucchino, the former Boston Red Sox president, has no roots in Rhode Island. He is a builder of stadiums — Baltimore’s Camden Yards, San Diego’s Petco Park — and he wanted a new ballpark. That meant “state-of-the-art” amenities, a Disneyfied faux Green Monster, hotels, restaurants, apartments, retail. McCoy’s grassy berm in left field fringed by black-eyed Susans — where fans can laze in the sun and catch a home run — wasn’t going to cut it. Take Me Out To the Multiplex. Ironically, it was another baseball icon who cast a pall over the tortured negotiations: Curt Schilling, the bloody sock hero of Boston’s 2004 curse-breaking World Series championship. In 2010, the year Ben Mondor died, Rhode Island approved a $75 million loan guarantee to lure Schilling’s fledgling 38 Studios video-game company from Massachusetts. It was an insider deal pushed through by a House speaker who later landed in prison for other misdeeds. And it turned out to be the worst deal since Harry Frazee sold Babe Ruth to the Yankees to finance “No No Nanette.” When 38 Studios failed, it cost taxpayers more than $100 million and, ultimately, helped cost us the PawSox too. Burned taxpayers had no appetite for handing over millions more to a bunch of rich owners for a new ballpark. The whole business was fumbled from the start, a Rhode Island version of Abbott and Costello’s “Who’s on First?” The owners were greedy and arrogant, initially demanding an expensive new ballpark on the Providence waterfront. They took Rhode Islanders’ love for the PawSox for granted and assumed taxpayers would give them whatever they wanted. Our political leaders were too confident the team would never leave, too timid to move decisively to lock up the PawSox with a fairer deal for taxpayers before Worcester entered the picture. Belatedly, Governor Gina Raimondo and the senate struck a deal, but House Speaker Nicholas Mattiello, afflicted with parochialism and fearful of angry voters in his conservative district, killed it. Time will tell if the Worcester stadium succeeds, or if taxpayers there get fleeced. But while kids in Rhode Island cried at the news, Worcester children rejoiced at the promise of free WooSox tickets (Woo-hoo!). The Worcester city manager invoked Field of Dreams: If you build it, “people will come.” It stung to hear him say the PawSox have committed to becoming part of Worcester’s “fabric and future.” It reminded me of the classic line of betrayal from “The Great Gatsby” when Jay Gatsby describes how his mysterious gambler friend fixed the 1919 World Series.